Gerry DiSanto is the owner and operator of Defensive Arts Training Centre in St. Catharines, Ontario. 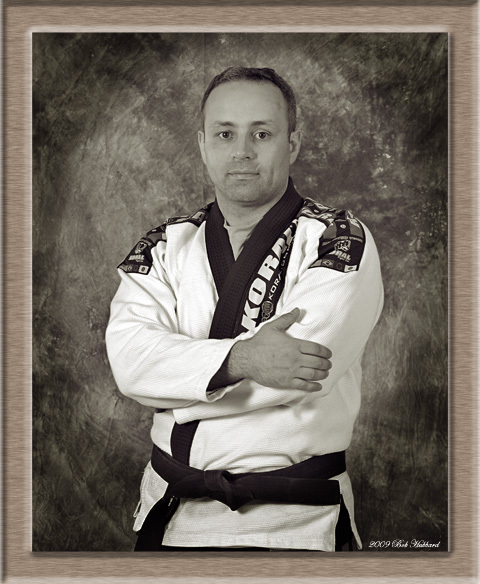 He holds a wide variety of ranks in various Martial arts and is a certified teacher, allowing him the ability to meet each student’s individual needs. Along with his skills in boxing, kickboxing, grappling, and weaponry, Gerry DiSanto has been training in Martial arts for several decades and is considered a Premier Martial Arts Instructor in the Niagara Region. We are passionate about passing on our martial arts techniques and knowledge to others. We LOVE what we do! We also have the advantage of having a ministry trained teacher, which means we meet student’s individual needs. How do you measure a good instructor? An instructor should never be measured by what they know, what they have accomplished or by what they say. A good instructor should be judged by the knowledge they pass on to their students. At Defensive Arts Training Centre, we have students who have successes at the international and world level. In addition, we provide our students with the skills they need to defend themselves confidently. No gimmicks, tricks or fake promises. Just real world Self Defense. We are not different we are the Best! “Gerry Disanto’s relationship with his students is outstanding; he has an excellent rapport with his students and sincere interest in them as individuals. His students like and respect him. Former Principal of Holy Cross S.S.
"Gerry DiSanto is a phenomenal teacher because he has the unique ability to meet the individual needs of the students through simplistic teaching strategies. I Trained under Gerry DiSanto and continue to do so because others say that they meet their student’s individual needs, he does." Hosting & Supported by Defensive Art Sydney And Martial Arts Sydney.